The final version of ESET NOD32 Antivirus 7 NOW available for Download & Purchase. 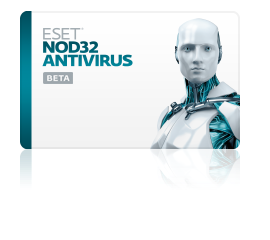 NEW ESET NOD32 Antivirus 7 Beta NOW available for download (Windows 8/7/Vista/XP - 32 bits & 64-bits). What's New in ESET NOD32 Antivirus 7? Leaving more power to programs you use daily, the solution lets you play, work and browse the Internet without slowdowns. Stay unplugged and online longer with battery-saving mode and enjoy gaming without distracting pop-ups. Delivering top protection right from the start with default settings, ESET NOD32 lets you easily set up and run scans and quickly find the settings you need. In addition, you can fine-tune your security with more than 150 detailed settings.